Financial constraints are often a concern for those considering infertility treatment. We strive to help all of our patients start or expand their families in an affordable way. Part of the consultation process will include walking you through your existing insurance benefits to evaluating the extent of your coverage and what out-of-pocket costs you can expect to incur. Our experienced financial team knows how to maximize coverage while minimizing your financial burden, so the cost of care will not prevent your fertility goals from coming true.  The Fertility Institute of NJ & NY prides itself on being a financially friendly practice. If you find that your insurance doesn’t cover your full treatment, we offer financing options through third-party lenders. We regularly research the best rates and welcome patient feedback about the programs offered. If you’d like to obtain more information about current financing options please call us at 201.666.4200, drop by our office to pick up a free brochure, or through our contact form here for more information. The Fertility Institute is thankful for the sacrifices our veterans and active duty personnel have made. As a thank you, we offer special reduced rates for active duty soldiers and veterans, as well as their spouses, who wish to be treated at our office. Pharmaceutical companies that manufacture fertility medications frequently offer discount programs based on financial need. A few that are available are below. The Compassionate Care Program is offered through EMD Serono and is designed to provide eligible patients savings on the cost of their medication. Depending on income, eligible patients may save 25%-75% off the self-pay price of medicine or receive a $10 discount per unit, via a mail-in rebate, off their out-of-pocket costs. For more information regarding the Compassionate Care Program, click here. Veterans Discount – In addition to the reduced treatment rates offered by the Fertility Institute, the Compassionate Corp Program offers discounts on medication to veterans and active duty personnel. More information about that program can be found here. Co-pay Help for Insured Patients – Eligible patients with private insurance can save on out-of-pocket costs by using the Co-Pay Savings Card. More details about this program can be found here. The ReUnite Rx Assist Program is based on patient eligibility and provides up to 75% on fertility medications. More information about this program can be found here.